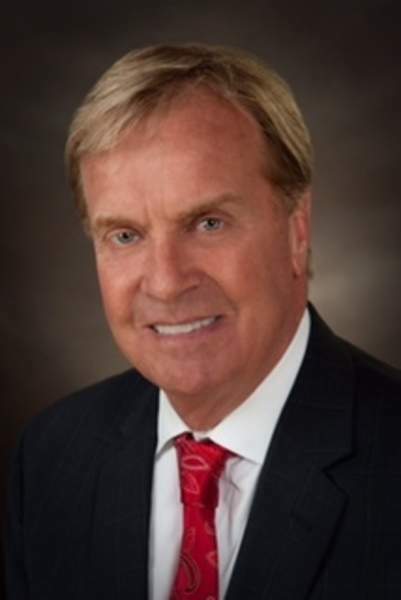 The U.S. Senate has confirmed Kosciusko County farmer Kip Tom as the nation's representative to the United Nations Agencies for Food and Agriculture in Rome. The Senate approved Tom's nomination for the ambassador-level post by unanimous consent Thursday evening. Tom, 63, described his new job with the State Department as “a humanitarian role focused on food security.” He said U.N. agencies feed about 90 million people but that more needs to be done to teach sustainable agriculture practices to people in developing nations. Tom said he expects to be sworn in early next week. He already is planning visits to Cambodia, Sudan, Nigeria and Yemen. “We'll have a lot of boots on the ground monitoring what's going on and try to come up with solutions,” he said. Tom has been chief executive officer of Leesburg-based Tom Farms, which grows corn, soybeans and seed corn in seven northern Indiana counties and is among Indiana's largest farming operations. He has extensive experience in global agriculture ventures as well. “As a leader in the agriculture community with significant experience in humanitarian relief, Kip Tom is well suited to represent the United States as we work to address food insecurity and malnutrition around the world,” Sen. Todd Young, R-Ind., said Friday in a statement. Young said he had recommended Tom for the appointment in 2017. Young is chairman of the Senate Foreign Relations subcommittee that oversees the U.N. and its agencies. President Donald Trump nominated Tom last July for agriculture representative to the U.N., a post that has been vacant since 2016. Past representatives have included former South Dakota senator and 1972 Democratic presidential nominee George McGovern and former Peace Corps director Gaddi Vasquez. Tom will be the U.S. ambassador to U.N. agencies that include the Food and Agriculture Organization, the International Fund for Agricultural Development and the World Food Program. Tom said world hunger is a national security issue for the United States. “If we can't create capacity and resilience in food production systems, I don't think we can write a big enough check to solve global hunger, especially when it's growing at nearly 10% over a year ago. The challenges are significant,” Tom said. “The reality is a lot of this is driven by civil conflict. But that civil conflict oftentimes starts with people who are food insecure and lack shelter. Then they start to migrate, and then that's when we get involved with terrorist organizations and trafficking takes place,” he said. Tom said Secretary of State Mike Pompeo had been “a big champion” for his confirmation by the Senate. Tom was believed to have been among candidates Trump considered for agriculture secretary before choosing Sonny Perdue, a former Georgia governor, in 2017. Tom had been a member of Trump's team of agriculture advisers during the 2016 presidential campaign. He finished a close second to Jim Banks for the 2016 Republican nomination for northeast Indiana's seat in the U.S. House. Banks went on to easily win the general election that fall. Tom has been a member of the boards of directors for the Indiana Economic Development Corp. and the Indiana Chamber of Commerce, and he has been on the advisory board for the Indiana Department of Agriculture.